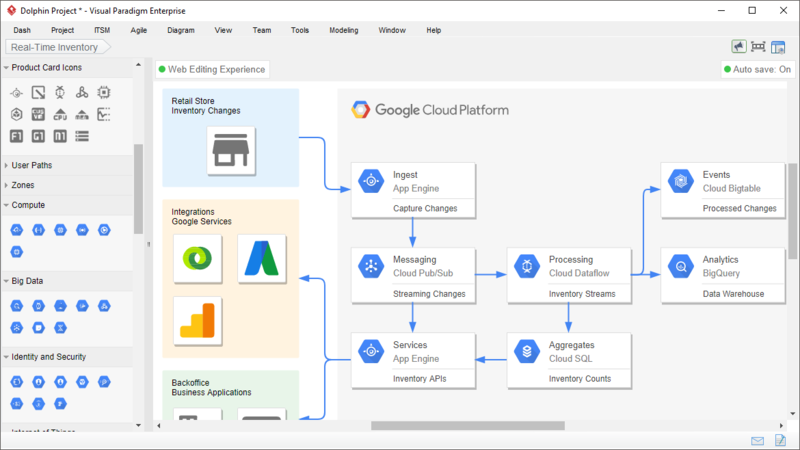 If you use Google Cloud Platform (GCP), you will love our online Google Cloud Platform diagram tool. 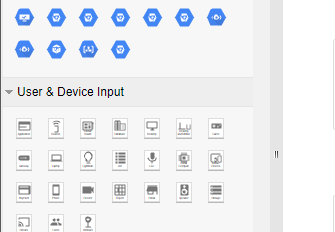 Our GCP design tool provides you with full set of GCP icons to use in your architecture design. 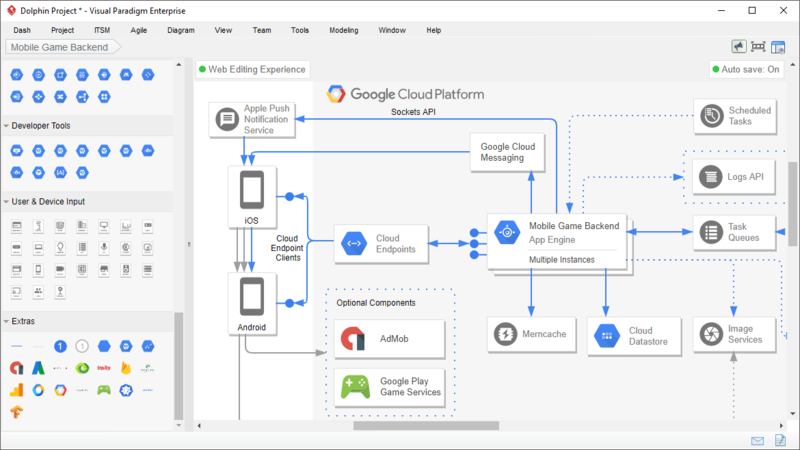 You can easily create professional Google Cloud architecture diagrams to help you communicate visually. Need to diagram your Google Cloud Platform (GCP) architecture solution? 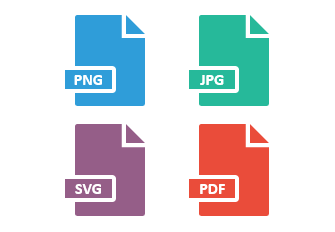 With our cloud design tool, you can design with all icons for GCP products and services. Work as team? 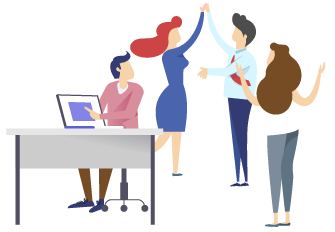 Your team can design collaboratively through accessing our cloud workspace.